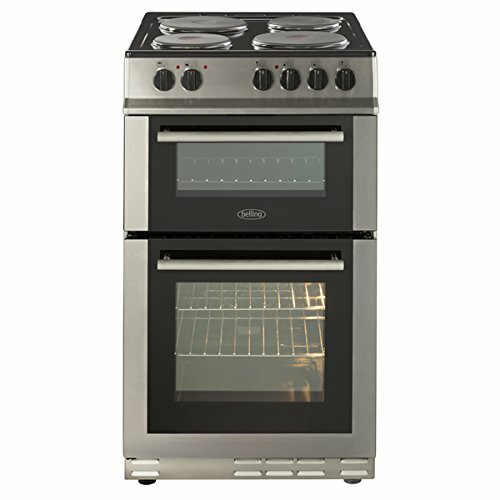 The Belling FS50EFDO in stainless steel has a fanned main oven, and a conventional oven and grill in the top cavity. Two red spot zones on the hob give extra power for more intense heat, ideal for stir fry dishes. The fanned main oven achieves an even temperature through the oven as the air is circulated by an integral fan, so any shelf can be used making more use of the space - perfect for batch baking. 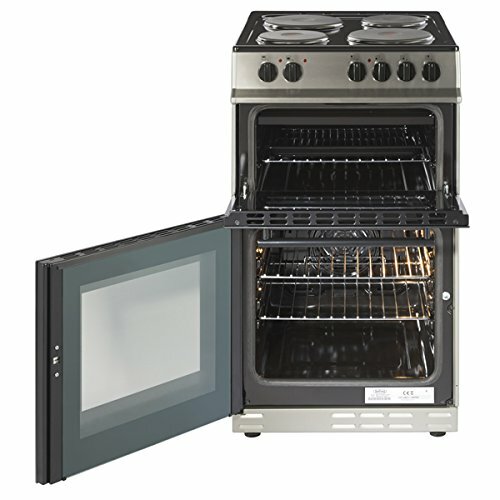 A fanned oven also allows you to cook different foods together without transferring flavours. The light in the main oven and double glazed door means you can keep an eye on your cooking without opening the door.